Thanks to Sr. Maxine Pohlman, SSND, Director of the La Vista Ecological Learning Ctr. 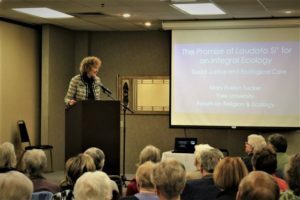 On Saturday, April 21, Dr. Mary Evelyn Tucker gave the keynote address at a conference held at the National Shrine of Our Lady of the Snows in Belleville, Illinois entitled Our Sacred Earth, Our Common Home. Dr. Tucker is a Senior Lecturer and Research Scholar at Yale University where she has appointments in the School of Forestry and Environmental Studies as well as the Divinity School and the Department of Religious Studies. This event is the second in a series devoted to the study and implementation of Pope Francis’ landmark encyclical on ecology, Laudato Si’. After the keynote, the attendees split up for break out sessions, one by Sr. Cheryl Kemner, OSF and Nicole Heerlein of Franciscans for Earth: “The Challenge of Technology and Simple Lifestyle,” another featuring Sr. Maxine Pohlman, SSND, Director of La Vista Ecological Learning Center: “Backyard Revolution,” “Care for the Earth; Care for the Poor” by Sr. Connie Probst, OSF – Co-Director, St. Anthony’s Food Pantry, and “What Can My Parish and Family Do?” by Jamie Hasemeier of Holy Redeemer Parish. In addition, Dr. Tucker held a break out session for religious sisters. The event, which attracted about 100 people ran from 9 AM to Noon at the Shrine of Our Lady of the Snows. 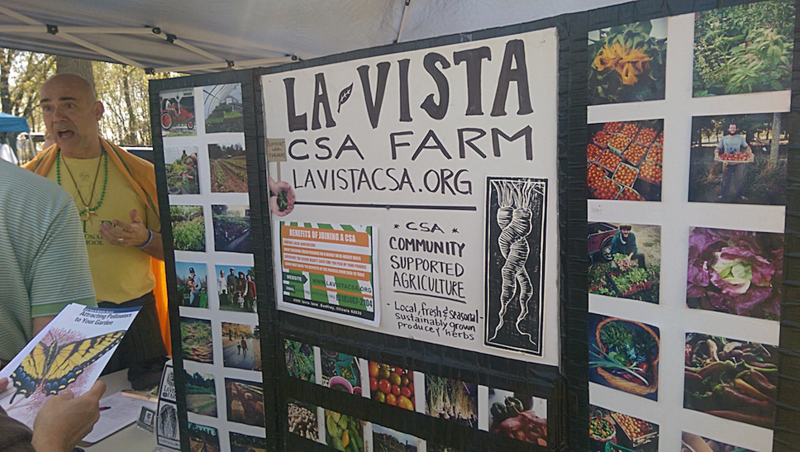 The day was co-sponsored by: the National Shrine of Our Lady of the Snows; La Vista Ecological Learning Center; the Franciscan Sisters of Our Lady of Perpetual Help, and the School Sisters of Notre Dame. 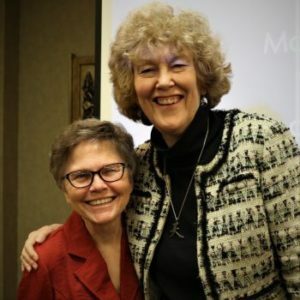 Keynote Speaker: Mary Evelyn Tucker, Ph.D. This event is the second in a series devoted to the study and implementation of Pope Francis’ landmark encyclical on ecology, Laudato Si’. 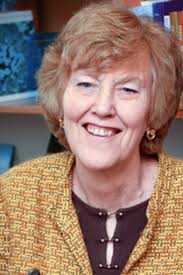 Dr. Mary Evelyn Tucker, who collaborated for many years with eco-theologian and Earth scholar Fr. Thomas Berry, will deliver the keynote address. The participants will then take part in a series of “hands-on” break-out sessions. The morning will conclude with a feedback and takeaway session. This event is intended for individuals and parish groups looking for practical ways to care for our common home, our sacred Earth. 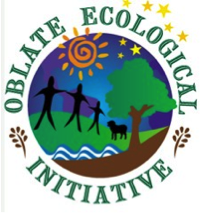 “Our Sacred Earth, Our Common Home: Reflection and Action on Laudato Si” is sponsored by the National Shrine of Our Lady of the Snows, La Vista Ecological Learning Center, the Franciscan Sisters of Our Lady of Perpetual Help, and the School Sisters of Notre Dame. Last year Pope Francis designated September 1 as the World Day of Prayer for Care of Creation, joining the Orthodox Church which has been celebrating it since 1989. The day has now been extended by some groups to be a month-long Season of Creation, ending on October 4 (Feast of St. Francis). Announcing this special day in 2015, Pope Francis said Christians want to make their special contribution to safeguarding creation, but to do that they must rediscover the spiritual foundations of their approach to earthly realities, beginning with an acknowledgment that “the life of the spirit is not dissociated from the body or from nature,” but lived in communion with all worldly realities. Pope Francis calls upon our Christian faith to care for nature and for the most vulnerable among us, honoring the three fundamental and closely intertwined relationships: with God, with our neighbor, and with Earth. This implies a relationship of mutual responsibility between human beings and nature. What touches your heart? What calls you to action?